Prior to joining as Associate Professor of Islamic Governance at Institute of Policy Studies (IPS) in the Universiti Brunei Darussalam (UBD), I have had the opportunity to work as Associate Professor of Islamic Law of Transaction / Jurisprudence at UBD School of Business and Economics (2015 – 2018), also as Associate Professor at INCEIF, the Global University of Islamic Finance, Kuala Lumpur (2013 – 2015); concurrently as Senior Researcher at the International Sharī‘ah Research Academy for Islamic Finance (ISRA), Kuala Lumpur (2012 – 2015); as Assistant Professor at Hamdan Bin Mohammed Smart University, Dubai (2010 - 2012); and as Senior Teacher at Sule College (presently, Amity College), Sydney (2000 - 2010). I received my first degree (Lisans) in Sharī‘ah in 1984 from Islamic University of Madinah; and Master of Laws (LLM) – Hons. in Islamic Banking Law, and PhD in the Laws of Islamic Finance from the Western Sydney University (WSU), Australia. I was honored to achieve an ‘A’, the highest academic distinction by WSU, Australia for my outstanding PhD dissertation entitled “Law and Practice of Modern Islamic Finance in Australia”. The quality of my LLM (Hons.) thesis entitled “Islamic Banking in Bangladesh” earned me two prestigious University wide research scholarships for completion of my doctoral study. I accomplished both research projects within the prescribed time limits and have since published numerous journal articles which expand on them. During my doctoral candidature, I was also awarded two highly competitive research travel grants to present my research findings at the sixth Harvard University Forum on Islamic Finance in Boston (2004) and the Twelfth Global Finance Conference 2005 in Dublin. I have developed an international reputation in respect to Islamic law, jurisprudence, economics and finance disciplines as a consequence of my research work publications in the areas of research interests which include: Sharī‘ah compliance of Islamic finance products and structures, case studies of Islamic banks and financial institutions, Islamic insurance (Takaful), Islamic reinsurance (Retakaful), Islamic microfinance, Islamic securities (Sukuk), Zakah, Awqaf, and dispute resolution in Islamic finance.. This is reflected in a significant number of articles which I have published in numerous ESCI, Scopus and other databases. These include Thunderbird International Business Review (ESCI, Scopus); Arab Law Quarterly (ESCI, Scopus); International Journal of Law and Management (ESCI, Scopus); International Journal of Islamic and Middle Eastern Finance and Management (ESCI, Scopus); International Journal of Business and Society (ESCI, Scopus); ISRA International Journal of Islamic Finance (ESCI, Scopus); Humanomics: The International Journal of Systems and Ethics (ESCI, Scopus); Journal of King Abdulaziz University: Islamic Economics (Scopus); Journal of Islamic Banking, Economics and Finance (Scopus); Australian Journal of Basic and Applied Sciences (Scopus); Advances in Natural and Applied Sciences (Scopus); Review of Islamic Economics; International Journal of Economics and Management Engineering; American Journal of Islamic Social Sciences; IIUM Journal of Economics and Management; International Journal of Excellence in Islamic Banking and Finance; Journal of Islamic Monetary Economics and Finance; Journal of Mu‘amalat and Islamic Finance Research; International Journal of Islamic Economics and Finance; Journal of Islamic Business and Management; American Journal of Islamic Finance; and The Global Journal of Finance and Economics. My research leadership and keen encouragement of others to conduct research are reflected in my work as the Founding Editor of the International Journal of Excellence in Islamic Banking and Finance (published by Hamdan Bin Mohammed Smart University, Dubai), and Assistant Editor of ISRA International Journal of Islamic Finance (Scopus). I also hold invited positions on the international editorial advisory boards of the International Journal of Islamic and Middle Eastern Finance and Management (ESCI, Scopus); Journal of Islamic Accounting and Business Research (ESCI, Scopus); Journal of Islamic Economics, Banking and Finance (Scopus); The Journal of Islamic Governance; Journal of Philanthropy; Shirkah Journal of Business and Economics; and Journal of Islamic Law and Justice. Besides, I have been providing my expertise as ad-hoc reviewer on a range of academic journals including the International Finance Review (ISI, Scopus); Journal of King Abdulaziz University: Islamic Economics (Scopus); Review of Islamic Economics; Islamic Economic Studies; Thunderbird International Business Review (Scopus); International Journal of Law and Management (Scopus); Deakin Law Review (Scopus); Law and Development Review (Scopus); University of New South Wales Law Journal (Scopus); and African Journal of Business Management. I have over 20 years of practical experience in the Islamic banking and finance industry. 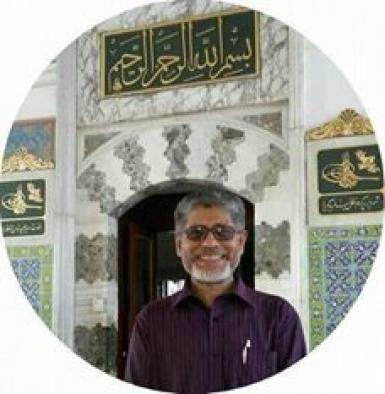 I started my journey as a Sharī‘ah supervisor at Islami Bank Bangladesh Ltd. in 1997, and have been advising on matters pertaining to Sharī‘ah compliance of products and services offered by Islamic Cooperative Finance Australia Ltd., Australia as its Honorary Chairman of the Sharī‘ah Supervisory Board since 1999. I have also been advising Islamic Bank of Australia project in the capacity of its Honorary Sharī‘ah Audit Executive since 2017. Furthermore, my relentless advocacy for and propagation of Islamic economics, finance, and banking around the world in general, and my pioneering roles to promote Islamic finance in Australia in particular made my inclusion among 500 Muslims in the world who have contributed significantly to Islamic Economy in 2018 and 2019 (http://islamica500.com/wp-content/uploads/2017/12/islamica-2018-booklet-48p_web.pdf, https://www.islamica500.com/guide/). Besides, as a reflection of my standing, the New South Wales Department of Premier and Cabinet in Australia (the regional government), sought my assistance with introducing Islamic finance laws in Australia and to achieve a level playing field for all competitors. I have advised the Australian government to create wider acceptance and support for regulation enabling Islamic finance in Australia very soon. I have presented my research at over 50 international conferences, which include the 6th and 11th Harvard University Forum on Islamic Finance held in 2004 and 2015. I won the best teacher award at HBMSU, Dubai in 2012, the best conference paper award at IIUM, Kuala Lumpur in 2013, and the best paper presentation award at a conference held recently (2018) in Kelantan, Malaysia. I was sponsored by the Islamic Research and Training Institute (IRTI) of the Islamic Development Bank (IsDB), Jeddah to present my scholarly contributions as invited speaker at a number of international conferences and workshops organised by the IRTI in different countries such as Bangladesh, Brunei, Indonesia, Malaysia, Nigeria, Pakistan, Saudi Arabia, Sudan, and Qatar. Traditional Muslim scholars are in general agreement that women are not entitled to hold the leadership or the topmost public office of a nation. Many scholars hold even a more restrictive view. Is it due to Qur’anic texts and Prophetic traditions (ahadith) that women are barred from key positions or is it largely due to socio-cultural and economic settings of a society. The Qur’an urges women of the Prophet’s household (nisa' al-nabiyy) to stay quietly at home and not to make dazzling public displays like that of the era before Prophet Muhammad (33:33). It is also commonly cited from the Qur’an that men are the caretakers (qawwamun) of women (4:34). The only Prophetic tradition in this regard is that the Prophet (pbuh) is reported to have said, “No nation will ever prosper if a woman is assigned as a ruler.” (Bukhari, no. 7099). On the other hand, the Qur’an also affirms that men and women are mutual guardians (awliya') of each other (9:71). Also. since the Qur’an acclaims the Queen of Sheba for her just rule, such prominent scholars as Imam Abu Hanifah, Tabari and Ibn Hazm support that women could hold the topmost judicial position. Ibn Hazm also asserts that there is no theoretical prohibition for women to carry out the mission of Prophethood. Naturally, if they could be Prophets, they could also be the leaders, for the Prophets are the leaders. This research aims to explore this issue and examine it by primarily analyzing Qur’anic verses, Prophetic traditions, the heritage of the Rightly-guided Caliphs and the rulings of Muslim jurists. In modern times, the quest for women empowerment is integrally related to the issue of leadership. The study will critically evaluate the validity of the quoted hadith, and examine its contexts in order to understand how and why the Prophet would have stated as such. This analysis is crucial to address present day realities, as a significant number of Muslim women have competently led their nations by holding topmost offices. Finally, this research hopes to shed light on what the real political status of Muslim women should be today in light of the Qur’an, traditional texts and the ground realities of modern times. Resolution of the issue of leadership can significantly impact the women empowerment from the Islamic perspective. 1. Post-default Sukuk restructuring: an appraisal of Sharī‘ah issues. Management of Islamic finance: Principle, Practice, and Performance - International Finance Review (ISI, Scopus), 2018, 19, pp.113-128. 2. "Building the index of resilience for Islamic banking in Indonesia: a preliminary research", International Journal of Islamic Economics and Finance, 2018, 1 (1), pp.1-32. 3. "Evaluation of Takāful operators’ efforts in realising maqāsid al-Sharīah". Journal of Islamic Monetary Economics and Finance, 2018, 3(2), pp.397-412. 4. “Revisiting Sharīʿah standards stock screening criteria”, International Journal of Business and Society (ESCI, Scopus), 2017,18(S1), pp.151-166. 5. “Remodeling Islamic accountability for awqaf institutions: an integration of stewardship concepts”, Journal of Islamic Economics, Banking and Finance (Scopus), 2017, 13(2), pp.179-189. 1. “Towards a global hub: the legal framework for dispute resolution in Malaysia’s Islamic finance industry,” International Journal of Law and Management, (ESCI, Scopus; H-index 8), 58(1), 2016, pp.48-72. 2. “The legal implications of 'fatwā shopping' in the Islamic finance industry: problems, perceptions and prospects,” Arab Law Quarterly, (ESCI, Scopus; H-index 11), 30(2), 2016, pp.107-137. 3. "Exploring musharakah taʿawuniyyah model in takaful”, International Sharīʿah Research Academy for Islamic Finance (ISRA) Research Paper No.71, 2014, pp.1-25. 4. Theory and Practice of Modern Islamic Finance: The Case Analysis From Australia. Florida: Universal Publishers, 2010, p.322. 5. “Islamic microfinance: the evidence from Australia,” Humanomics: The International Journal of Systems and Ethics, (ESCI, Scopus; H-index 12), 25(3), 2009, pp.217-235. 7. “Regulation and performance of Islamic banking in Bangladesh,” Thunderbird International Business Review, (ISI, Scopus; H-index 26), 2007, 49(2), pp.251-277. Apart from two major dissertations, which I wrote in fulfillment of the requirements for the degrees of my LLM (Hons.) and PhD at Western Sydney University, Australia and have since been published, I have been actively engaged in theoretical and empirical research and publication on Sharī‘ah aspects of Islamic banking and finance. These include the following peer reviewed journal articles, refereed book chapters, books, monographs, refereed conference proceedings and other intellectual contributions (in reverse order). 1. "Governance and reporting practices ensuring accountability and building trust in waqf management: evidence from Bangladesh", accepted for publication in International Journal of Emerging Markets (ESCI, Scopus). 2. "Conventional futures: derivatives in Islamic law of contract", accepted for publication in International Journal of Law and Management (ESCI, Scopus). 4. "What determines bank profitability? empirical evidence from Turkish banking sector", under review for publication in International Journal of Law and Management (ESCI, Scopus). 5. "Sharīah governance and risk management framework: a case of Islami Bank Bangladesh Ltd.", under review for publication in International Journal of Islamic and Middle Eastern Finance and Management (ESCI, Scopus; H-index 18). 6. "Women entrepreneurship as a catalyst of economic transition in Bangladesh: implications of the Bangladesh-China-India-Myanmar economic corridor (BCIM-EC)", under review for publication in International Journal of Business and Globalisation (ABDC, Scopus; H-index 10). 7. Fundamentals of Islamic banking and finance, a textbook at postgraduate level. Signed to be published by John Wiley & Sons, Singapore. 8. “Corporate social responsibility in Islamic banks’ practices: evidence from Bangladesh”, accepted for publication in Toseef Azid, et al, (eds. ), Research in Corporate and Sharī‘ah Governance in the Muslim World: Theory and Practice, Emerald Group Publishing Limited, Bingley, United Kingdom. 9. “Takaful as a means for social welfare: transforming it to musharakah taʿawuniyyah model”, accepted for publication in M. N. Ali (ed. ), Islamic Finance and Social Welfare, Qatar Faculty of Islamic Studies, Hamad Bin Khalifa University, and Islamic Research and Training Institute. 10. “Women empowerment and leadership in Islam: between myth and reality”, accepted for publication in Toseef Azid & Jennifer Batts (eds.). Economic Empowerment of Women in the Islamic World: Theory and Practice, World Scientific Publishing Company Pte Ltd., Singapore. 11. “Islamic commercial jurisprudence”, accepted for publication in M. Shammari et al. (eds. ), Islamic business administration, Palgrave Macmillan. 12. “Using blockchain and smart contracts for waqf institutions”, in M. Anshari et al. (eds. ), Financial technology and disruptive innovation in ASEAN, IGI Global, Pennsylvania, USA (Scopus). 3. “Issues deter the propelling growth of awqaf in Bangladesh and the way forward to its developments and widening the scope of its benefits”, in Alam, N. and Rizvi, S.A.R. (eds. ), Islamic Economies: Stability, Markets and Endowments, Palgrave Macmillan, pp.79-98. 4. “The nature of retakaful: risk sharing or transferring risks?” in M. Nazim Ali et al, eds. Takaful and Islamic cooperative finance, Edward Elgar Publishing Limited, Cheltenham: United Kingdom, pp.171–191. 5. “Achieving sustainable economic development through Islamic microfinance and potential of proposed two tier mudarabah waqf business model", in M. K. Hassan (ed. ), Handbook of empirical research on Islam and economic life, Edward Elgar Publishing, pp.193-212. 6. “Regulation, performance and future challenges of sukuk: the evidence from Asian markets”, in Mutum, D. et. al (eds. ), Advances in Islamic finance, marketing and management: an Asian perspective, Emerald Group Publishing Limited, Bingley, United Kingdom, pp.27-48. 6. “Islamic insurance: a cooperative model”, in E. A. Alim et al, eds. Islamic Commercial Law Report 2016. Kuala Lumpur, Dubai: International Sharī‘ah Research Academy for Islamic Finance (ISRA), Thomson Reuters, pp.90-92. 2. “Dispute resolution in Islamic finance: a case analysis of Malaysia,” in H.A. El-Karanshawi et al (eds. ), Ethics, governance and regulation in Islamic finance. Doha: Bloomsbury Qatar Foundation, pp.125-135. 3. “The search for an alternative to practice of the concept of tabarruʿ in takaful business models,” ISRA-Bloomberg Bulletin, February. 3. “Challenges and potentials of Islamic financial products in the Australian financial market regulation,” IIUC Business Review, 3 June, pp.25-55. 7. “Exploring musharakah taʿawuniyyah model in takaful”, International Sharīʿah Research Academy for Islamic Finance (ISRA) Research paper No. 71, pp.1-25. 9. “Laws and regulations of Islamic finance: the evolution and challenges,” ISRA Islamic Finance Space, December, 02, pp.8-9. 10. “The legal and structural framework for the issuance of sukuk,” Islamic Finance News, 17 September, 11(37). 11. “Sukuk: an appraisal of Sharīah related issues and the way forward,” ISRA-Bloomberg Bulletin, August, pp.1-3. 5. “How Sharīah compliant is Islamic banking,” in Sharīah Economics Conference 2013, Hannover, Germany 09 February, pp.100-107. 6. “Are sukuk different from conventional bonds?” Global Islamic Economics Magazine, September (16), pp.58-59. 3. “Corporate social responsibility in Bangladesh: the role of Islami Bank Bangladesh Limited,” in 6th Quality Conference in the Middle East – Innovation Based Competitiveness and Business Excellence, Dubai, UAE 30 January-02 February, pp.103-111. 4. “Blazing the trail: the institutional framework for dispute resolution in Malaysian Islamic finance industry,” ISRA International Journal of Islamic Finance (Scopus), 4(2), pp.159-165. 3. Principles and practices of Islamic microfinance for a global economy: the case of Bangladesh, Saarbrucken: LAP LAMBERT Academic Publishing GmbH&Co. 4. “Developments in Islamic finance practice: the experience of Australia,” in M. K. Hassan, and H.M. Mahlknecht (eds. ), Islamic capital markets: products and strategies. London: John Wiley & Sons Ltd, pp.341-356. 5. “Islamic financial products: salient features,” In, Dubai Exports and Zawya (ed.) The UAE Islamic financial services directory 2011, pp.11-32. 6. “A critical analysis of musharaka mutanaqisa (MM) practice by the Islamic financial services providers: the case of Australia,” in 1st International Conference on Banking and Finance Perspectives, Famagusta, North Cyprus 13-15 April, pp.1-21. 3. Theory and practice of modern Islamic finance: the case analysis from Australia. Florida: Universal Publishers. 4. Developments in Islamic banking practice: the evidence from Bangladesh. Florida: Universal Publishers. 2. “A historical evolution of Islamic banking and capital market: where are we now?” Global Islamic Economics Magazine, March (22), 2014, pp.75-76. 5. “Relevance of the UK approach to the Australian experience in Islamic banking,” Islamic Finance News, 4(47), pp.15-16. 6. “Development of Islamic banking in Bangladesh,” Islamic Finance News, 4(23), pp.13-14. 7. “The legal and regulatory framework of Islamic banking in Bangladesh,” Islamic Finance News, 4(23), pp.15-17. 8. “Financial transactions in Islam: historical evolution,” Global Islamic Finance Magazine, 1(1). 2. “The adoption of the UK finance bill proposals on Islamic finance into Islamic banking in Australia,” Review of Islamic Economics, 10(1), pp.41-57. 4. “Legislation and issues on Islamic banking in Bangladesh,” in: Islamic Research & Training Institute, and Universiti Teknologi Mara, 1st International Forum on Islamic Economics, Finance and Business for Young Scholars, Langkawi, Malaysia 18-20 April, pp.261-279. "The proposed cooperative participation model of Islamic insurance: an alternative to takaful business models". The 2nd International Conference on Islamic, Education and Law. 14-15 April. Kelantan, Malaysia. "Sharī‘ah and legal dimensions of post default sukuk restructuring: a critical analysis". The 3rd Islamic Finance Conference Entrepreneurial Finance. 21 December. Jeddah, Saudi Arabia. "A critical review of takāful companies’ contributions to economic developments in fulfillment of maqasid al-sharīʿa. Thematic Workshop on Enhancing Poor’s Capability and Financial Inclusion from Islamic Perspective. 11-12 December 2017. Islamabad, Pakistan. "Accountability concept in awqaf institutions: an analysis from Islamic perspectives. The Islamic Economic System Conference (iECONS 2017). 12-13 December 2017. Muscat, Oman. "Evaluation of takāful operators’ efforts in realising maqasid al-sharīʿah: evidence from Malaysia". The 3rd International Islamic Monetary Economics and Finance Conference. 08-09 November 2017. Jakarta, Indonesia. "Opportunities and challenges of waqf in Bangladesh: the way forward for socio-economic development". Research Workshop on Revival of Waqf for Socio Economic Development. 4-5 November. Dhaka, Bangladesh. “Socially responsible Islamic investment: a review of related literature”. International Conference on Business, Economics and Finance. 23-24 August. Universiti Brunei Darussalam. Brunei, Brunei. “An analysis on the role of Islamic microfinance as a strategy in meeting the challenges of poverty in the ASEAN region”. International Conference on Business, Economics and Finance. 23-24 August. Universiti Brunei Darussalam. Brunei. “The issue of post default sukuk restructuring: a Sharī‘ah analysis”. 4th International Islamic Economics and Finance Congress. 15-16 July. Istanbul Sabahattin Zaim University. Istanbul, Turkey. “Potentials of using awqaf funds in Muslim societies in stimulating economic growth: an analysis in the context of Bangladesh”. 11th International Conference on Islamic Economics and Finance. 11-13 October. Kuala Lumpur, Malaysia. “Legal, regulatory and other key issues pertaining to sukuk. UBDSBE Seminar Presentation. 27 April. Universiti Brunei Darussalam, Bandar Seri Begawan, Brunei. “Al-mudarabah business model on cash waqf: an alternative paradigm to Islamic microfinance. The 2nd Islamic Finance Conference Islamic Microfinance and Social Responsibility. 20-21 April. Jeddah, Saudi Arabia. “Corporate social responsibility practices of Islamic banks: evidence from Bangladesh”. UQU First International Conference on Islamic Banking and Finance. 06-08 March. Makkah, Saudi Arabia. “The role of alternative dispute resolution towards enhancing the effective regulatory framework for Islamic financial market: evidence from Malaysia”. UQU First International Conference on Islamic Banking and Finance. 06-08 March. Makkah, Saudi Arabia. “Legal, regulatory and other key issues pertaining to Sukuk”. International Congress on Islamic Economics and Finance. 21-23 October 2015, Sakarya, Turkey. “Promoting maqāṣid al- Sharī‘ah and achieving sustainable economic development: the potential of proposed two tier mudārabah business model on cash waqf”. The 1st International Conference on Shari`ah Oriented Public Policy in Islamic Economic System. 30-31 March. Aceh, Indonesia. “A case for transforming takāful from corporation to mushārakah taʿāwuniyyah model”. 9th International Conference on Islamic Economics and Finance. 23-25 April. Doha, Qatar. “Sharī‘ah issues in retakāful. 9th International Conference on Islamic Economics and Finance. 23-25 April. Doha, Qatar. “Can alternative dispute resolution mechanisms resolve Islamic finance disputes in Malaysia?” International Conference on Management, Education and Social Sciences Research. 04-05 April. Karachi, Pakistan. “Liquidity management of Islamic banks: the evidence from Malaysian practice”. Sydney International Business Research Conference. 17-19 April. Sydney, Australia. “Diminishing partnership practice of Islamic financial services providers: the case of Australia”. UBDSBE Seminar Presentation. 13 January. Universiti Brunei Darussalam, Bandar Seri Begawan, Brunei. “The potential of zakah in redistributing economic justice and poverty alleviation: a case study of Bangladesh”. International Conference on Development of Social Enterprise and Social Business for Eradication of Extreme Poverty and Street Begging. 19-20 December. Chittagong, Bangladesh. “Corporate social responsibility (CSR) initiatives of Islamic banks: empirical evidence from Bangladesh”. 1st Sharjah International Conference on Islamic Finance. 5-6 November. Sharjah, UAE. “Musharakah ta‘awuniyyah: exploring an alternative to the application of the doctrine of tabarru‘ in takaful”. 2nd ASEAN International Conference on Islamic Finance. 12-14 November. Yogyakarta, Indonesia. “The nature of retakaful: risk sharing or transferring risks?” 11th Harvard University Forum on Islamic Finance -Takaful and Alternative Cooperative Finance: Challenges and Opportunities. 25-27April. Massachusetts: USA. “Developments and challenges in legal infrastructure of sukuk: a cross country analysis”. 6th IFSB Legal Seminar on Innovation in Sukūk Securitisation and Islamic Hedging Instruments: Developments and Challenges. 25 March. Bandar Seri Begawan, Brunei. “Sharī‘ah scholars, ijtihad and decision making in Islamic finance”. International Seminar on Usul Fiqh 2013, 23-24 October. Kuala Lumpur, Malaysia. “Status of qawl al-sahabi, vis-a-vis its importance and application in modern Islamic finance”. International Seminar on Usul Fiqh 2013. 23-24 October. Kuala Lumpur, Malaysia. “Role of zakah in poverty alleviation through re-distributive justice”. World Universities Islamic Philanthropy Conference 2013. 04-05 December. Kuala Lumpur, Malaysia. “Regulatory impediments to Islamic finance: the UK and Australia compared”. 2nd International Conference on Islamic Economics & Economies of the OIC Countries. 29-30 January. Kuala Lumpur, Malaysia. “An exploratory study of Islamic housing finance market: a case of the UK”. 2nd International Conference on Islamic Economics & Economies of the OIC Countries. 29- 30 January. Kuala Lumpur, Malaysia. “The legal implications of ‘fatwa shopping’ in the Islamic finance industry: problems, perceptions and prospects”. 2nd International Conference on Islamic Economics & Economies of the OIC Countries. 29-30 January. Kuala Lumpur, Malaysia. “How ‘Sharī‘ah compliant’ is Islamic banking”. Sharī`ah Economics Conference 2013. 09 February. Hannover, Germany. “Corporate social responsibility in Bangladesh: the role of Islami Bank Bangladesh Limited”. 6th Quality Conference in the Middle East – Innovation based Competitiveness and Business Excellence. 30 January - 02 February. Dubai, UAE. “Dispute resolution in Islamic finance: a case analysis of Malaysia”. 8th International Conference on Islamic Economics and Finance. 19-21 December. Doha: Qatar. “A critical analysis of musharakah mutanaqisah (MM) practice by the Islamic financial services providers: the case of Australia”. 1st International Conference on Banking and Finance Perspectives. 13-15 April. Famagusta, North Cyprus. “The case of Australia: assessing the practice of diminishing partnership (DP) by the Islamic financial services providers”. 2nd Annual Middle East Public Private Partnership. 06-07 February. Abu Dhabi, UAE. “The impact of global financial crisis on Islamic financial sectors: opportunities of Islamic finance to tap into the Australian market”. International Research Conference on Global Financial Crisis and the Resilience of Islamic Financial Services. 13 December. Kuala Lumpur, Malaysia. “Regulation and supervision of Islamic financial services providers (IFSPs): a case study of Australia”. 4th International Conference on Islamic Banking and Finance: Risk Management, Regulation and Supervision. 4-6 April. Khartoum, Sudan. “Islamic finance in Australia: the potential problems and prospects”. 7th International Conference. The Tawhidi Epistemology: Zakat and Waqf Economy. 06-07 January. Selangor, Malaysia. “Housing finance of Australian Islamic financial services providers (IFSPs): an empirical analysis from Sharī‘ah perspectives”. 1st International Conference on Islamic Economics and Economies of the OIC Countries. 28-29 April. Kuala Lumpur, Malaysia. “Regulation of Islamic finance in Australia: challenges and opportunities, MCFS Symposium - Islamic Financial Services: What Role for Australia?” 21 November. Melbourne, Australia. “Regulatory challenges and opportunities: a case of Australia”. Islamic Banking and Finance Symposium: Ethics and Financial Practice in Global Perspective. 20 November. Melbourne, Australia. “Islamic banking: a case analysis from Bangladesh”. Islamic Banking and Finance Symposium: Ethics and Financial Practice in Global Perspective. 20 November. Melbourne, Australia. “Legal and regulatory issues of Islamic finance industry: the evidence from the UK and Australia”. 6th International Islamic Finance Conference. 13-14 October. Kuala Lumpur, Malaysia. “Islamic microfinance: evidence from Australia”. 6th International Conference on Islam and the World System, Unity of the Sciences. 14-15 January. Chittagong, Bangladesh. “Sharī‘ah-based banking: evidence from Bangladesh”. 2nd Islamic Economics Conference: Comprehensive and Balanced Development among Islamic Countries: Cooperation, Opportunities & Challenges. 17-19 July. Kuala Lumpur, Malaysia. “Islamic micro and medium sized enterprises (MMEs) finance: the case study of Australia”. 1st International Conference on Inclusive Islamic Financial Sector Development. 17-19 April. Brunei. “Legislations and issues on Islamic banking in Bangladesh”. 1st International Forum on Islamic Economics, Finance and Business for Young Scholars. 18-20 April. Langkawi, Malaysia. “Legal and regulatory issues of Islamic finance in Australia”. INCEIF Islamic Banking and Finance Educational Colloquium 2006. 03-05 April. Kuala Lumpu,: Malaysia. “The adoption of the UK finance bill proposals on Islamic finance into Islamic banking in Australia”. 12th Global Finance Conference. 27-29 June. Dublin, Ireland. “The monetary valuation of time in Islamic finance”. 12th Global Finance Conference. 27-29 June. Dublin, Ireland. “Time value of money: Islamic perspectives”. International Seminar on Financial Management from an Islamic Perspective. 21-23 December. Dhaka, Bangladesh. “Islamic banking in Bangladesh: legal and regulatory issues”. 6th Harvard University Forum on Islamic Finance. 08-09 May. Massachusetts, USA. 2017: Universiti Brunei Darussalam Conference Grant (BND 5,000) Istanbul Sabahattin Zaim University, Turkey. 2015: Universiti Brunei Darussalam Conference Grant (BND 5,000) Sakarya University in Sakarya, Turkey. 2014: International Sharīʿah Research Academy for Islamic Finance Conference Grant (RM30,000), Harvard University in Cambridge, USA. 2014: International Sharīʿah Research Academy for Islamic Finance Conference Grant (MYR 10,000) for paper presentation. The 6th IFSB Seminar on Legal Issues in the Islamic Financial Services Industry in Brunei Darussalam. 2013: IRTI and IIUM Best Paper Presentation Award (MYR 2,000) in Islamic finance stream at the 2nd International Conference on Islamic Economics & Economies of the OIC Countries in Kuala Lumpur, Malaysia. 2011: Hamdan Bin Mohammed Smart University Conference Grant (AED 8,000) for paper presentation. ICBFP`2011 in Famagusta. 2005: University of Western Sydney Conference Scholarship (AUD 5,000) under Higher Degree Research Support Scheme Global. Finance Conference, Trinity College, Dublin. 2004: University of Western Sydney Postgraduate Research Grant (AUD 3,000). Harvard University in Cambridge. 2010 - 2012: Acted as academic advisor of 120 students, School of Business and Quality Management at Hamdan Bin Mohammed Smart University, Dubai. 2015 - Present: Supervised 10 Internship project papers as Supervisor at UBD School of Business and Economics, Universiti Brunei Darussalam. 2013 - 2015: Supervised 112 Internship project papers as Supervisor, INCEIF, The Global University of Islamic Finance, Kuala Lumpur, Malaysia. 2010 - 2012: Supervised 12 Internship project papers as Supervisor, eSchool of Business and Quality Management at Hamdan Bin Mohammed Smart University, Dubai. Assessor, Faculty Member Promotion 2014, International Islamic University Malaysia. “Sharī‘ah scholars, ijtihad and decision making in Islamic finance”, International Seminar on Usul Fiqh 2013, 23-24 October, 2013. Kuala Lumpur, Malaysia. “Problems of Islamic banking in Bangladesh”, Seminar of Islamic Economics Research Bureau Bangladesh. 09 January. Dhaka, Bangladesh. “Islamic banking: the evidence from Bangladesh”, International Islamic University Chittagong (IIUC). 31 December, 2001. Chittagong, Bangladesh. “Islamic microfinance in Australia”, BIBF (Bahrain Institute of Banking and Finance). 17 May, 2006. Manama: Bahrain. I have recently been appointed as Honorary 'Sharī‘ah Audit Executive' of Islamic Bank of Australia, the first Australian owned fully functional Islamic bank project in Australia under the Islamic Financial Services Australia (IFSA). My consultancy also includes the following, among others. I have active collaboration with Islamic finance industry since 1997. I have been invited as speaker by Islamic Research and Training Institute (IRTI) of Islamic Development Bank (IsDB), Jeddah to many international conferences held in Brunei, Bangladesh, Pakistan, Malaysia, Sudan, Nigeria, Qatar, Saudi Arabia and Indonesia. I have also been invited by Islamic Financial Services Board as keynote speaker at the 6th IFSB Seminar on Legal Issues in the Islamic Financial Services Industry held in Brunei in 2014. I have also been engaged by International Sharī‘ah Research Academy for Islamic Finance (ISRA), Khazanah Nasional, and Securities Commission (SC) Malaysia as coordinator of a book publication project entitled 'A Textbook on Sukuk' which is published in 2017. I have gained plethora of experience in meaningful community engagement and partnership initiatives beginning from my work as Executive Director of an NGO in Bangladesh, an ongoing Advisor of Bangladesh community organisation (Bangladesh Islamic Center Inc.) living in Sydney and my current role as Advisory Board Chairman of 2 community welfare organisations in Sydney, namely the Australian Muslim Welfare Center Inc. and Islamic Cooperative Finance Australia Limited. Besides, I have championed Islamic finance in Australia. My research on the subject is the first landmark contribution to Australian Islamic finance in terms of its regulation and the Sharī‘ah compliance of its current practice. Given the recommendations I have made in my groundbreaking work on Theory and practice of modern Islamic finance: The case analysis from Australia, the Australian government is now taking serious steps to promote Islamic finance as an opportunity for Australia to access offshore capital pools from the Middle East and Asia to finance domestic investment needs. In response to Dr Ahmad's recommendations, Australia is now also planning legislative changes to provide a level playing field for Islamic finance products. His contributions have greatly helped nurture Islamic finance in Australia. In recognition of my reputation and contribution to research in the Australian Islamic finance industry, I was approached by the NSW Department of Premier and Cabinet to help introduce laws in Australia in order to create a level playing field for Islamic and non-Islamic finance. Along with many others in this field, my pioneering efforts during the last 20 years have resulted in wider acceptance for Islamic finance and it is hoped that the relevant regulatory bodies in Australia will introduce independent Islamic finance regulations in the near future.